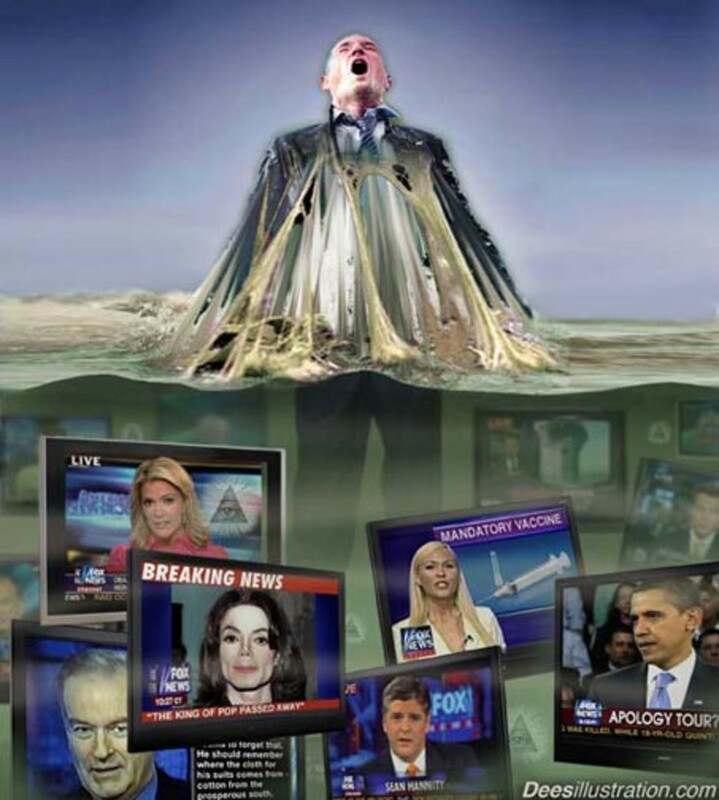 Do you watch the news and tear your hair out trying to make sense out of it? Learn the "Hegelian Dialectic", and you will see the News with a whole new level of understanding. 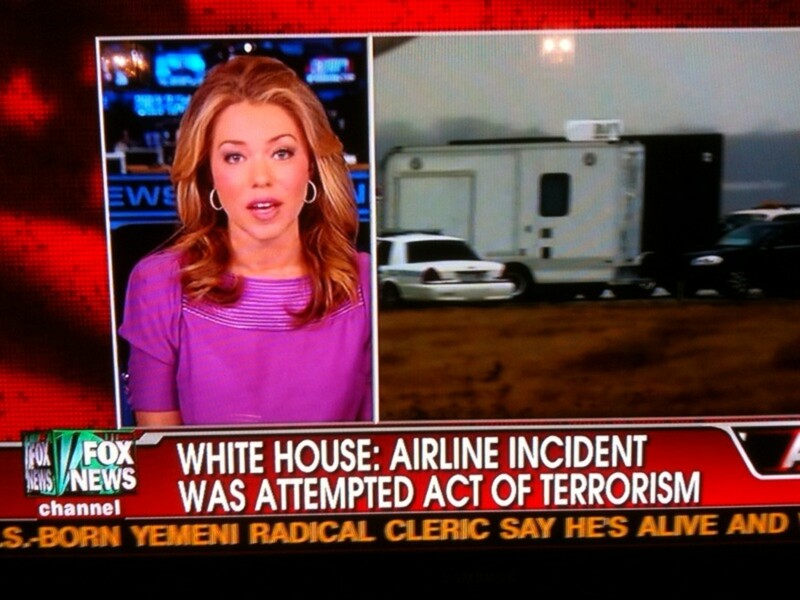 Since 9/11, the threat of terrorism is a constant news item. Now, at the airport, we choose between irradiation and sexual molestation (sometimes we get both) before we can get on the plane – thanks in part to the underwear bomber. The swine flu and bird flu scares came and went only to leave people sick or permanently disabled from the vaccinations, which were almost mandatory. The US is always dropping bombs on someone, somewhere, in an undeclared war. The recent victims are Somalia, Libya, Pakistan, Yemen, Iraq, and the victim of the longest war in US history - Afghanistan. Why does “Global Warming” (oops, I mean “Climate Change - no now we're calling it global warming again) make headline news for years, but the real dangers to the environment such as poisoning from chemtrails and holes in the ionosphere from HAARP never make the news? We have the never-ending, never-progressing war on drugs, war on poverty, war on terror, war on cancer, war on drunk drivers, war on distracted drivers, and even the war on dogs not wearing seat belts in the car. There are riots and bombings and schoolhouse/theater/church mass shootings here and there. Peaceful protests get infiltrated and then turn violent. Why is all this happening when the vast majority of people don’t want any of it to happen. On the contrary, most people would go out of their way to hold a door open for an elderly lady using a walker. Well, if you understand the Hegelian Dialectic you will understand why these things happen. You will look at the news with a whole new level of understanding. But far, far better and more important than that, you will know what you can do to help stop it. And you can tell your friends. And when we get enough people doing their part to help, all of the above - all of it and more, will be history and will never happen again unless or until we forget again. First, let’s get clear on who we’re talking about here. The “Illuminati” are actually just one of the many secret societies that comprise “the elite”. The Illuminati, together with the Free Masons, the Skull and Bones, the Brotherhood, etc., as well as the less secret, but still private organizations such as the Bilderberg Group, the Bohemian Club, the Young Presidents Organization and high end Country Clubs with initiation fees in the millions, collectively make up the elite ruling class. These are the titans of industry, the rulers of the monopolies of the necessities of life. There is both good and bad within this elite class. Let's cover the dark side first, and then we'll get to the good news. The vast majority of the elite class is parasitic on society. They live opulent lifestyles off of the fruits of labor of the masses. They believe they're a genetically superior class, and they regard other people as slaves or beasts of burden to be farmed for their labor. They have the banking system rigged to keep the masses in debt. As a result, most people are in debt most of their lives, working as slaves to debt. That’s why a student loan for a college education now takes many years to pay off (if you get a job), whereas a few decades ago, a summer job would easily pay the next years tuition - including the books and beer! 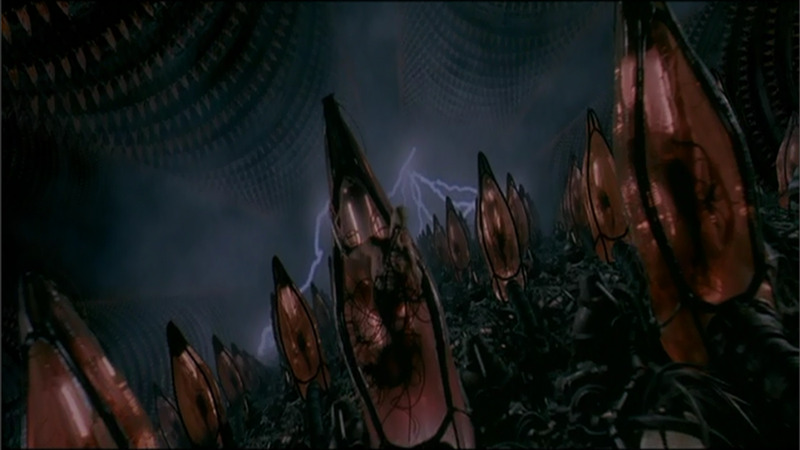 This is metaphorically indicated by the human farms in "The Matrix". The rigged banking system is facilitated by the education, media, food, drug, health care and legal systems that are designed to keep people dumbed down, in poverty, in fear, in poor health, and not thinking for themselves. This article singles out the media, and shows how they use it to those ends. Their use of the banking system is covered in the article "Biggest Scam in History - The Federal Reserve System" available here. Together, “they” are the secret rulers of the world. They control the economy, the governments, the media, food, oil, health care, legal and education systems. They stay out of the public, out of the limelight. When you hear about the richest people in the world, such as Carlos Slim, Bill Gates or Warren Buffett, you are not hearing the truth. The richest people in the world have or control a thousand times more. They have trillions, instead of billions. Just do some crude math: There is nearly one quadrillion US dollars (a thousand trillion) in existence if you count derivatives, and most of it is owned or controlled by a few elite families. The elite class actually does have some benevolent members who care about people and believe that they deserve to know what is going on. Some even believe that the secrets of the elite should be made available to the people for their empowerment! For over a century, a few have been leaking some of the secret information to the public by publishing books and audios. Examples of books that disclose the elite agenda for the planet are “Tragedy and Hope” by Carroll Quigley, “Report from Iron Mountain” by an undisclosed author, “The Tax Exempt Foundations” by William H. Mcllhany, “The Politics of Heroin” by Alfred C. McCoy, and “The Greening” by Larry Abraham. Even the book “1984” by George Orwell (Eric Blair) was written in the spirit of disclosure, although a little ambitious in its time frame. Examples of publications that give away the elite’s guarded secrets of success are “The Science of Getting Rich” by Wallace D. Wattles, Napoleon Hill’s books such as “The Law of Success in 16 Lessons” and “Think and Grow Rich”. More recently, some audios have even been produced, such as “The Strangest Secret” LP record by Earl Nightingale (permission via public domain), and “Your Wish is Your Command“ by Kevin Trudeau (permission via private contract). Let's get back to the activities of the dark side of the elite class, for there is power in knowledge. Their operation depends on most of the people being thoroughly deceived most of the time. If we learn their methods, we can recognize their schemes before they play out - thereby countering the deception. When enough people know what's going on, their agenda will be foiled simply through exposure and knowledge. 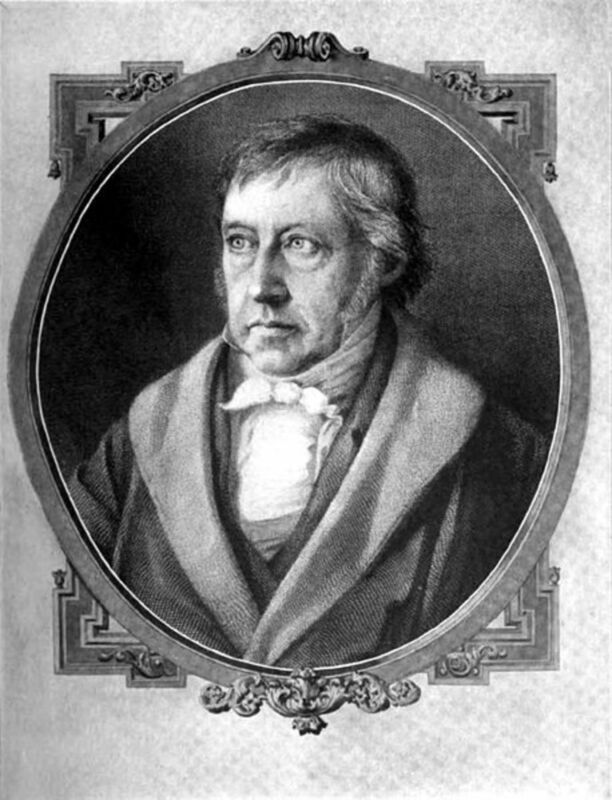 Named after Georg Hegel, the late German philosopher, the Hegelian Dialectic is also known as “Thesis-Antithesis-Synthesis” or “Ordo Ab Chao” (Latin for “Order from Chaos” the motto of 33rd degree Freemasons). But that all sounds much more complex than it really is. The Elite Class, “they”, secretly want society in general to change the way it thinks about a certain issue. They have a long term agenda, and they want to control and guide the direction that society takes through history. Let's say they want society to go in "DIRECTION A". But direction A is currently the exact opposite direction that any sane member of society would even think of going, and the vast majority would fiercely oppose anyone even suggesting it. So they don’t suggest it - or even have a politician mention it, other than to just test the waters. Instead, they go through the three steps above. First, they create a problem, A BIG PROBLEM, maybe a “terrorist” event or a “natural” disaster or a racial or mass killing, or they foment a riot and spread it to some nearby States or Countries. This big problem could be created very directly such as by training someone and then sending them in to do the dirty work, or very indirectly by simply creating the conditions that will, in time, cause the desired problem to erupt. Or sometimes they will just take advantage of a problem that comes about seemingly at random. After the big problem occurs, they cover it intensely all day long on the news for many weeks; and everyone is glued to their TV’s, wanting to know all the details of what it means for their families, their homes, their jobs, their future ... and taking in the programming the whole time. This brings on the desired and designed REACTION in the people - a thorough and lasting change in the mindset of society. Once the reaction has fully blossomed and the people are all longing and begging for a solution - any solution - just end this, fix this, please. Then “they”, under the guise of benevolent government, bring on THE SOLUTION. The solution just perfectly so happens to be "DIRECTION A", which most of society now very happily accepts, now that their world has been turned up-side-down and in-side-out by this BIG PROBLEM, and their thinking has been molded by the weeks of intensely controlled and manipulated media coverage. Have you noticed over the decades that after every serious crisis comes new legislation that gives more power and control to government and major corporations, and at the same time reduces the freedom and privacy of the people? This is the Hegelian Dialectic in action every time. 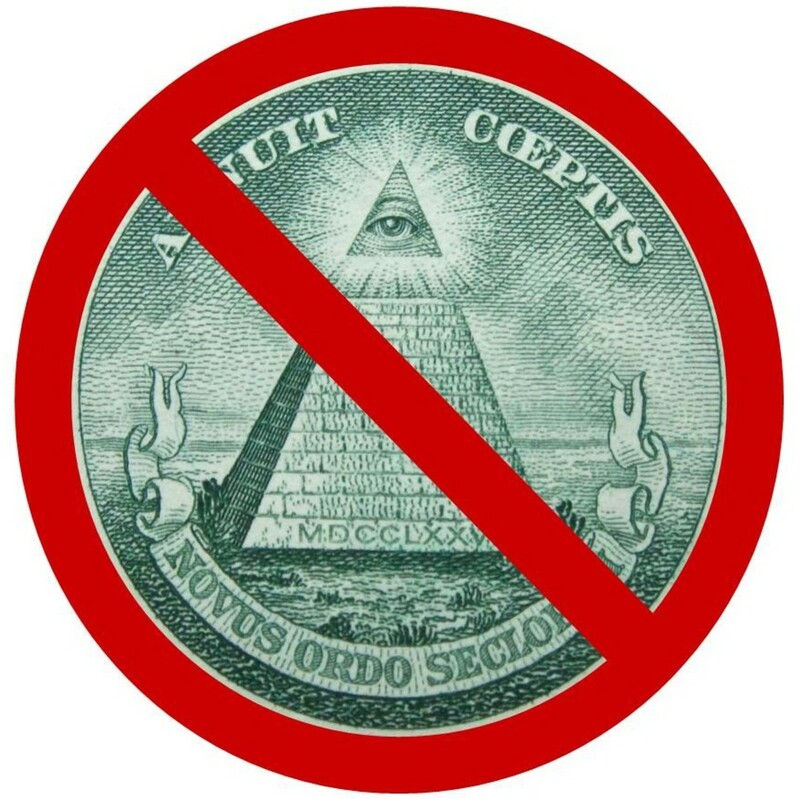 The goal of the Elite Class is to bring on the “New World Order”, like it says in Latin on the back of the US One Dollar Bill, "NOVUS ORDO SECLORUM". They’ve been working on this for more than 100 years. They have to make the changes gradually as they mold society into accepting ever more government control of everything. In the end, they want one world government, one world currency, all people micro chipped, no paper money – your bank balance is to be stored in the microchip under your skin. If you don’t like it, if you speak out about it, they can just take your money away with a click of a mouse and starve you out. The movie "In Time" gives us a clue as to how this would work. But the good news is supposed to be that there would be no more “problems” on the global plantation of the NWO. No more need to create problems to direct society, everything will be under control1. As long as you’re happy with a mere pittance of the fruits of your labor and no freedoms other than maybe choosing whether you start brushing your teeth on the left or on the right. Created solely for the purpose of bringing on the SOLUTION. But most people won’t see it that way because they are lead to believe that there are “bad guy(s)” out there that caused this PROBLEM. Most applications are in this category. There is no real PROBLEM, but the general population is lead to believe that there is. A real PROBLEM isn’t required, but only the perception of it. Examples are Global Warming later called Climate Change, and Saddam Hussein's alleged Weapons of Mass Destruction. An event that was not created by the Elite, but is taken advantage of nonetheless to help support some SOLUTION already in the queue. This is less common. We really can’t know if something was truly non-purposeful, or if we just haven’t connected the dots. This category usually contains the smaller, local events. Whatever the form, the PROBLEM will be dragged on, even artificially if necessary, in order to saturate the public mindset with it. The REACTION usually involves prolonged fear and panic in the general population. It will be on the news for many weeks. The public will be constantly reminded of the situation throughout the day through TV, radio, newspapers and the internet. TV programs may even be interrupted with “Breaking News”, the red color of the banner on the bottom of the screen helping to invoke panic and fear. Most people will be so distraught that their mind will be made over. They will now eagerly accept what they would have vigorously fought against a few weeks ago. The SOLUTION always gets us one step closer to the global police state of the New World Order. Usually it takes the form of new rules and regulations, which give the ruling class more power and control, at the expense of freedom, prosperity and privacy of the people. The size of the step toward the NWO will be in relation to the size of the REACTION, just enough for most people to willingly accept it. Often a Congressional Bill or other legislation is already prepared and ready to go, before the PROBLEM is even created. Since this article will have international readership, I’ll stick to the really big examples that made international news. The London riots of 2011, having spread to four other English cities as well as other towns within days, provides one of the bigger examples of how the Hegelian Dialectic is used by the elite. Hatred of police was fomented by a Police “Stop and Search” Policy highly biased toward young black men. Tripling of college tuition while reducing educational financial aid, kept the young adults out of school and on the street. Banks kept credit tight to keep the economy depressed to increase poverty, unemployment and welfare dependence. Social conditions and media encouraged breakdown of the family, further alienating the youth. The obnoxious gap between rich and poor was flaunted by publicizing the Parliamentary Expenses Scandal and extravagant banker’s bonuses. Then, it was easy to create the PROBLEM. The fatal shooting by police of Mark Duggan, a young black man riding in a taxi, and the police beating of a 16-year-old girl who was asking police a question provided enough provocation for a riot that would spread to other cities. The PROBLEM needed to last long enough to cause the desired reaction, and so police were ordered to “stand and observe” for a time to give things a chance to fester and get more seemingly out of control. After only the first day of rioting, the SOLUTION was already being introduced. 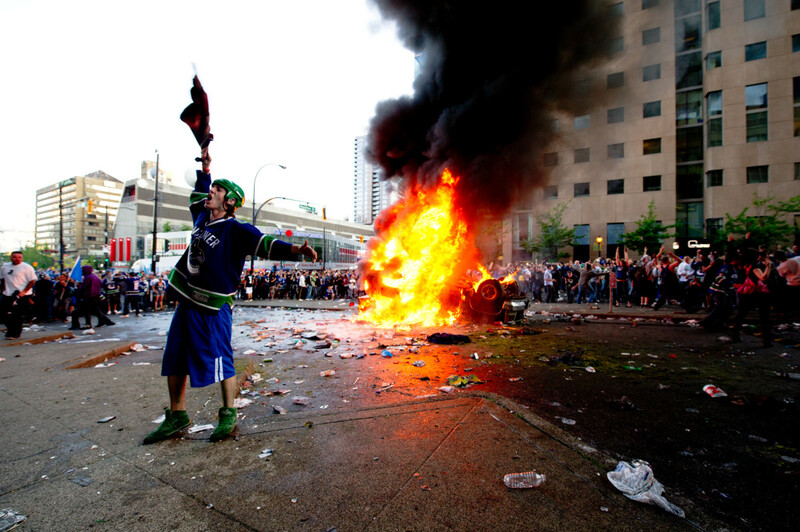 The freedom and privacy of mobile messaging was touted as the main cause of the riots. 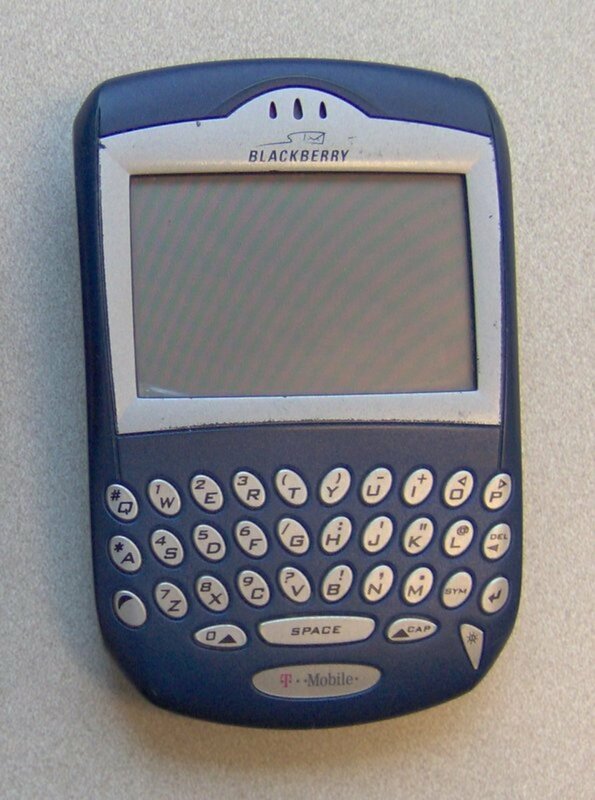 They became known as “the Blackberry Riots”. Planting the thought early, along with constant repetition were the mind control techniques used. After enough repetition that Blackberry Messaging was the cause of the riots, the public believes it and forgets about the true causes listed in the bullet points above together with the police trigger events. The SOLUTION has been implemented. Now, chat logs, GPS coordinates and other private information can be monitored by police for “suspicious activities”. Also, the successful makeover of public opinion is indicated by a NewsCorp, Sun TV poll showing that 77% of the population now favors allowing the army in the streets of London (martial law) during riots, and 33% agree that rioters should be shot with live ammunition. The UK is now one step closer to that global police state. As a large-scale example of the Hegelian Dialectic, the attacks of 9/11 takes a back seat only to World Wars I and II. Everyone knows the world changed in a big way on September 11, 2001. People still talk about what it was like before 911 – what it was like to travel, what it was like when police were concerned with due process of law. 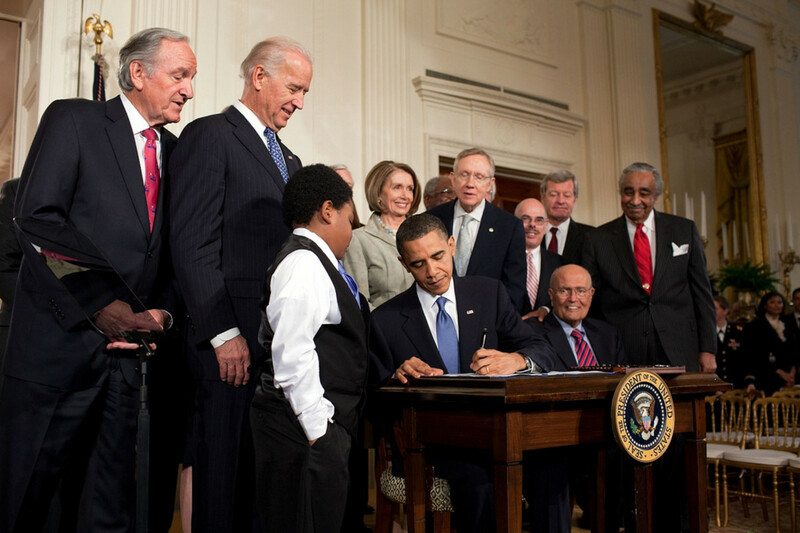 That is because the SOLUTION was implemented beginning on 9/12 – the Patriot Act2. 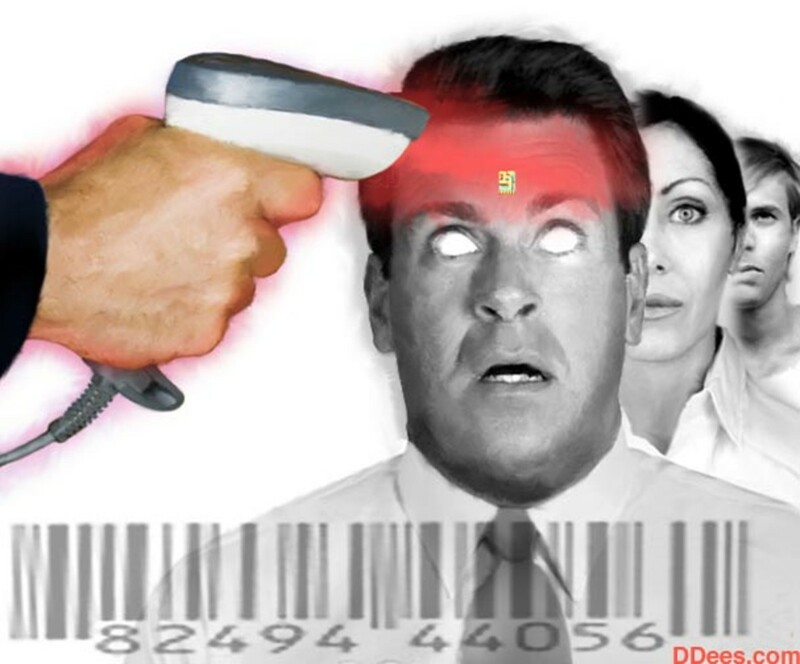 Now the government and police can essentially search, seize, and detain at will, the airports have x-ray vision scanners, etc. Government and police surveillance powers have been greatly increased. The PROBLEM, of course, was the attack on the Twin Towers and Pentagon, the crashed fourth plane - mostly the horrible deaths of approximately 3,000 people. The REACTION was all the people glued to their TV’s for weeks on end. 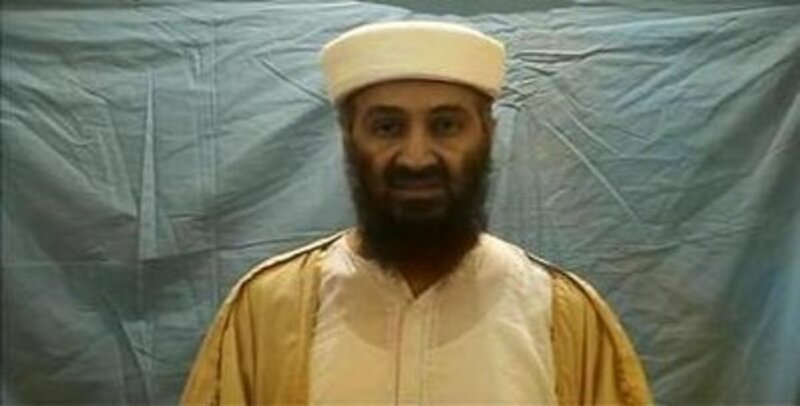 Mind control techniques were used, one of the first being pictures of bin Laden on TV only minutes after the attacks. The most common technique being simply repetition. People were in shock, wanting someone or something to help them make some sense of it – wanting a SOLUTION. Alas, the SOLUTION was planned out many years ahead of time – the Patriot Act. 9/11 also justified the leveling of Afghanistan, the never ending War on Terror, and even helped Barack Obama’s re-election campaign due to his alleged killing of the alleged 9/11 perpetrator, Osama bin Laden. 9/11 is known in military terms as a “false flag” operation. A False flag is when a government attacks its own people, then blames another country or group in order to justify a war or attack on the people it blames. Many governments around the world have admitted to staging false flag events. I like to think of 9/11 as a typical murder mystery, which it really is. It’s a lot simpler that way - when there is a murder, the investigators always look for a motive. So let’s look for a motive. We need to ask: “Who benefited from the murder of almost 3,000 people?” Since the Patriot Act immediately followed, we can ask: “Who benefited from the Patriot Act?” What about the US government, or the entities that control it? Do they not like to have increased power – especially that which the Patriot Act gives them? Since the Afghan War and the never ending War on Terror also followed – Who benefited from those? Does the US government not need a war here and there, and a big enemy or two in order to justify its grossly huge defense spending? Do we have a motive? Do we have a suspect? With the larger applications of the Hegelian Dialectic, the SOLUTION is many faceted, so here are some gross generalities: World War 1 allowed the creation of the League of Nations, increased defense spending, as well as increased debt and poverty (more control for the bankers). Similarly, World War 2 allowed for the United Nations, the European Union and more defense spending, debt and poverty. The Great Depression of 1929 allowed huge changes to the banking system through FDR’s New Deal. Similarly qualifying are the Cold War, the Vietnam War, the Afghanistan War and the Iraq War, the War on Terror, War on Drugs, War on Guns, etc. Then there are the crises. The Climate Crisis, the Energy Crisis and virtually all of the Economic Crises have been created with an agenda. In general, most riots, bombings, shootings – anything that is covered on the news for weeks and invokes fear and panic, is an application of the Hegelian Dialectic. Even the Joseph Kony situation fits this model; however, it breaks new grounds in strategy by using "reverse propaganda" where it is made to appear that the SOLUTION comes from a grass roots movement of the people themselves. So when you watch the news, watch it, not to find out what’s going on, but to see which way “they” are currently leading society. Remember that what goes on the news is carefully constructed to get most people to react – just the way most people react to it. If we see something shocking on the news, we need to realize that our initial reaction is probably exactly the reaction that the story was designed to bring. We need to ask ourselves: “Why are they putting this on the news, now, in this way? What REACTION is it designed to bring? What agenda or SOLUTION do they want to bring on, based on this reaction?” Could the PROBLEM have been artificially created solely for this purpose? Current Event: Here is a slant on the Sandy Hook Elementary School Shooting that shows the potential difference between the “official story” that is built up in the weeks after a major crisis, and what may really have happened. Sandy Hook Elementary Shooting - What Really Happened? Whether there was a direct motive, far removed from Sandy Hook Elementary and Newtown Connecticut or not, let’s keep in mind that the ruling elite never let a serious crisis go to waste. They use it to guide society in the direction they want it to go. In this case, the agenda is more gun control. But the good news is that it seems to have backfired this time. See "Examples of the Hegelian Dialectic Being Thwarted" below. We need to realize that items make the news not because they are newsworthy or important, but because they are useful in directing society. For example, we rarely see HAARP, Chemtrails or Fractional Reserve Banking in the news at all, but those are more important than anything that’s on the news. Another example is the Trevon Martin incident: There’ve been many similar events over the years that could have made a story just as big – why did only that one, at that time, make the news? There are many websites where news is available that has not been censored, filtered or embellished by governments and big corporations to get us to react and believe - exactly the way they want us to react and believe. These alternative sites shed light the real issues that the mainstream media distracts us away from with all the entertainment idols, sports heroes, political debates, reality shows and crisis news reporting. 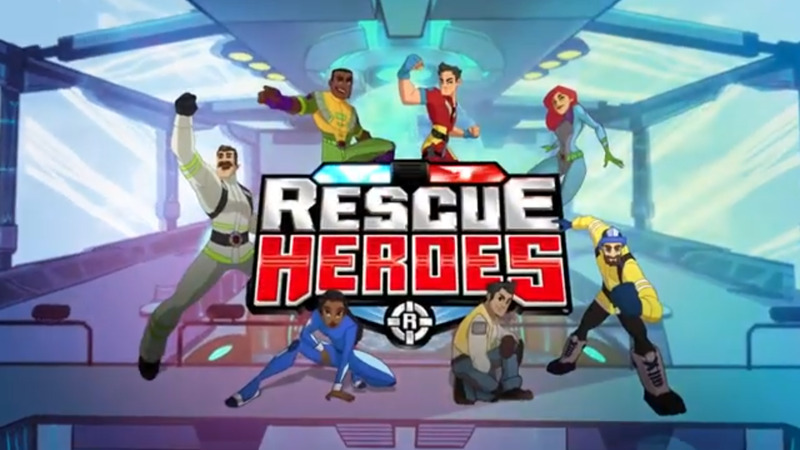 Below are links to some examples. Just keep in mind that any endeavor to get truth out to the masses, once it gets big enough, is subject to stealthy infiltration and control by the ruling elite. It then becomes part of the controlled opposition. So how do we stop it? Well, all three steps are absolutely necessary or the Hegelian Dialectic falls apart. We can’t do much about the PROBLEM or the SOLUTION after the fact. However, the REACTION is us. All we have to do is stop reacting the way “they” want us to. Stop playing along with their script. Once we realize that it was all planned out ahead of time, including our reaction in our programmed ignorance, it’s easy to stop participating. When enough people become aware, and stop participating in this sinister agenda, the house of cards will come crashing down. Get the word out to as many as possible, as to what is really happening. Bring down the global cabal that has perpetrated this global destruction of freedom, prosperity and peace ... this financial and police/military tyranny. Have a replacement starter system ready for when the house of cards does come crashing down. For a list of some of the solution groups, see the end of the article Biggest Scam in History – The Federal Reserve System under the heading "Solutions". And the Cyber Intelligence Sharing and Protection Act of 2011 (CISPA) is getting a run for its money. Your comments are welcome; please use the Comment Section at the very bottom. If you like something about this article, please use the Voting Buttons just below the video. 2 The "solution" to 9/11 was the Patriot Act, along with other Congressional Bills that tentatively allow increased government surveillance of Americans, but are disguised as National Security, such as the Stop Online Piracy Act (SOPA) and the Protect IP Act (PIPA). This is a 4 minute clip from the 7 hour presentation "Freedom or Fascism: Live at Brixton Academy 2006", available at davidicke.com. “We just paid 3 billion dollars for these television stations, We’ll tell you what the news is. The news is what we say it is.” From RT.com. Glad you enjoyed it Gene. Of coarse you may share it, the more people that know about this, the better. Great article, may I share it with friends of mine? Thanks, Mel. Yes, people are now looking behind the curtain at an ever accelerating rate! These are exciting times! A very well written analysis of a subject that is being scoffed at less and less as our freedoms gradually erode away. Great hub! Thank you for the comment, One time. I would like to share some deep, meaningful quotes that sits perfectly for those who have found their centre of being. These quotes tell a story hidden within their words and should be the reason for living and embark upon the spiritual journey to find a small measure of peace to silence the mind. The moral is that anything material has no spiritual value and the system designed by the establishment in modern society is to get people to focus their attention toward the physical expression both in material and masculinity. The spiritual and feminine expression has been suppressed by the masculine dominance that thrives from order out of chaos. Through this unbalanced masculine expression prevalent I modern society, the need for war, greed and hate is promoted over peace, generosity and love. Indigenous tribes living outside this global masculine order are the most contented, relaxed and fulfilled people living abundantly without restriction, people with spiritual understanding who have no need for war, greed and hate among their community. They treat each other with respect and parity but follow strict morals to keep order out of unity and love for one another. We can all learn and take some lessons from these people if we choose. One time, yes, a link with commentary is a good way to refer to someone else’s work. Copied duplicate content has a negative effect on SEO for the article and also HubPages in general. It was me who disallowed the comments. HubPages takes action also, but maybe a little slower. I wanted to beat them to it. Yes you credited the source, but a quote of more than a sentence or two is considered plagiarism. For example, naming the author does not authorize you to reprint his book - but a short quote is perfectly OK. The last post was covering the covenant of the Illuminati so it had to be presented word for word for authenticity as did the previous comment on the false flag alien invasion of 1938. Unfortunately hubpages seems to disallow copied content despite the content being justifiably credited to its original source. I could alternatively just post links to the sources online should anyone feel the need to investigate further. The information is available for free and as far as I'm aware no one claims any profit from any sources I obtain. All I offer is a guidance toward important information which will help with understanding and awareness. There are many false teachers, disinformation agents and sharks prowling online to mislead and misguide those that seek the truth! One time fo yo mind, your last comment also was disallowed due to duplicate content, since 95% of it exists elsewhere on the web. Further comments with copied/quoted content of more than a sentence or two will be disallowed without notice. One time fo yo mind, thank you for the comment. Indeed, the elite do control the monopolies of the necessities of life. You showed how, when they make societal changes, they first prepare the public mind to accept it - planning it all out far in advance. Your other comment however, was not allowed due to duplicate content. Most of it exists elsewhere on the web. I will demonstrate how the elite use MIND CONTROL on the masses through use of DECEPTION to justify THEIR means. While the many in their ignorant bliss go about every day lives of work, play and rest, the establishment is monitoring the behaviour patterns of everyone in society, dishing out experiments here in there through diverse measures. Usually, small tweaks are made to society to see the outcome or response of the people before smaller tweaks become major ones! I will first present a small problem which sparked initial protest before the small problem was later introduced to receive no protest so the problem then justified the end result. The British government put high taxes on petrol which saw a huge increase on the price at the pump. This came with outrage and great protest from the British public, especially the haulage companies who would be hit with agronomical costs. In defiance the haulage companies brought the country to a standstill trough blockades to major motorways with their lorries. Deliveries to shops and retail outlets began to freeze up and the government understood they had a major rebellion against their new informed policies. They quickly backed down realising the time to introduce high fuel rise at the pump was premature and worked toward thrashing out deals with haulage companies to soften the blow when they reintroduce the higher taxation at a later date. When the time was right they did this and the policy met little to no resistance from the general public who sat back and accepted the higher prices at the petrol pumps. One could assume the earlier protests were a staged event to give the impression of protest in the minds of the people. You see, large haulage companies are part of corporations which are owned by the elite and it was never going to be haulage companies they were targeting initially to pay higher taxes for it is the general public they always target to hit the working class. More taxation ultimately helps toward more control. The ultimate control on the energy business is a huge accumulator of wealth for the elite and a way of having power over the many. If they are in possession of something the people NEED they hold the power to use and abuse that NEED when they choose! Restrict the flow of information on energy resources and the people are at your mercy. This is a huge factor on how the establishment maintains control by means of what information they permit to be put into the minds of the people! Yes, your previous comment was just information - but, as you say information is both positive and negative. If we focus on the negative, we’ll bring more negative. If we focus on the positive, we bring more positive - positive thoughts which lead to positive actions. We DO need the knowledge and information such as you relate in your previous comment, to keep from ignorance, thank you for that. However we need to focus on SOLUTIONS, on POSITIVES, rather than predicting that current events will “eventually transform the human family conditions into chaos and establish a selfish, envious and ruthless society”. Speaking of solutions and positives, I keep referring you to the heading in this hub “The Good Guys” and also the “Solutions” heading in my hub “Biggest Scam in History - The Federal Reserve System” where there are links to many groups around the world that are having much success. If you’re going to leave another comment here, please comment about that. The gist of this hub is a bright future, not one of gloom and doom. In scientific terms the hundredth monkey experiment was coined 'critical mass'. The consciousness field is spontaneous and the elite has used this theory on the human family already through social conditioning! You are referring to reversing the 'critical mass' of the fear driven economy of the elite and you're smart to suggest so. We are likened to a droplet of water, separated from the widespread ocean of possibility that is the entire field of consciousness. The elite have simply fragmented this field of possibility to limit our perceptions. Information is both positive and negative, but truth will always prevail over lies. Cancer has a shelf life, it causes all sorts of pain and mayhem before it no longer has any life to cling to. It feeds off the emotion of fear. Life is truly a blend of energy expression and polarity magnetism. The elite has used mind control to plant the seed of fear into the human family, knowing they can steer humanity into a low point of energy expression. Those that can stay balanced, understanding their centre and point of true self will know what is necessary to bring happiness into their field of consciousness and when enough droplets of water charged with truth penetrate the ocean of lies and mayhem the tide will eventually turn. I will reverse George Orwell's quote to drive home my point! BTW, the previous post is not meant to be negative, it is just information. The IMPORTANT factor is how someone digest that information. If one looks for a negative spin on it they will not see the worth within it. The information contained in there is true unlike the mainstream explanation taught through schooling institutions on the history they rewrite. Understanding the value of truth will help one see through a world which has been pulled over the eyes to blind people of the truth. Why such a negative comment this time, One time? Are you having a bad day? Yes, the society you speak of is ‘here and now’, but we are going past that now. We’ve taken heed to Napoleon Hill’s words “Every adversity, every failure, every heartache carries with it the seed on an equal or greater benefit.” That seed is now blossoming. I again refer you to the heading in this hub “The Good Guys” and also the “Solutions” heading in my hub “Biggest Scam in History - The Federal Reserve System”. Also consider the positive effects of the post 12/21/2012 energy system that we’ve moved into. There is no going backwards, there is no stopping - the momentum is great. Are you familiar with the “hundredth monkey” syndrome? Human brains function similarly. When the free thinking mindset is embraced by the “hundredth monkey”, the whole human race will be affected by the positive vibrations; and the system that feeds on fear will starve to death and be replaced by one that feeds on love. The telling of history as we are told through mainstream education and media is only a couple of hundred years old and yet has been modified to suit the establishment in modern times many of times. On the subject of public education and schooling environment how and when did this happen and why? The first public schools were introduced through the order of the Vatican Empire mid seventeenth century. Before this time only the privileged of nobility were given education and in most circumstances even this was selective where the initiated few were offered advanced knowledge over the many. The masses were deprived of knowledge as well as spirituality by the ruling elite and forced into physical slavery. The problem for the elite was that many people rebelled against an oppressive dictatorship and tyrannical regime and they soon realised that keeping order among the masses by use of force was never going to steady the ship for their hold on humanity. They had to change philosophy if they are ever to maintain control. This was the birth of civilisation and society as we know it in the modern reference. The Vatican decided to offer water downed knowledge mixed with half-truths and lies and create the first governmental schools for the masses. With this in mind they knew they could indoctrinate the human family into their methodology. They will teach the profane to be subservient and get the people to police themselves by dangling carrots of promotion and empty promises. Create a split society by fragmenting the imagination in the minds to that which is required for community. By introducing competition and widespread chaos they knew they could divide and rule the majority. To this day ever since people have been conditioned to put themselves before others, look after number one and seek power and wealth. This is the methodology of the elite and they have created a miniature society to recreate their philosophy onto the public domain but never really giving any real power and wealth to the people in the same breath. By controlling the flow of information the elite have successfully moulded themselves into the minds of people as untouchable and super all powerful and as a consequence the people have desired to be as like. Well put, One time! I spent a few decades in corporate America and know exactly what you’re talking about. Your analysis of the term “Freemason” is interesting. I am one who is intrigued by the significance of words, but never thought to look into this one. Yes - they are free-builders = free-creators. They create what they wish. They can predict the future because they create the future - the top levels that is. They know how to “Think and Grow Rich” they know “The Law of Success” (the key elements of those books having been removed so that the masses wouldn’t be too successful - the elite do not like competition). Excellent Einstein quote! Yes, we need to wake up before we can move on. Any hierarchical system can only operate on secret knowledge. The lie is different on every level. In any corporation, governing institution, religious church or military operations knowledge of how the system works must be withheld from the lower levels. The foot soldier hasn't the faintest idea what the captain is planning while the captain hasn't the faintest idea what the commander is planning. The worker has the faintest idea what the manager is planning while the manager hasn't the faintest idea what the board of directors is planning while the directors hasn't the faintest idea what the chairman is planning. Secret societies and fraternities operate in the exact same way. The worker is told productivity is important to hold on to jobs while the manager is told profits is all that matters for them to keep their roles. The board of directors are told monopoly and dominance is key to success and that they must strive to raise the credibility of their company against their competitors. At these levels MONEY is key to success. Move higher up in the chain of command and we see a different story unfolding. The competitors become one body owned by the network of interconnecting family dynasties that own 99% of the worlds wealth, resources and commerce. At this level it is not about money at all for they create the money from thin air, invent it and all the systems of financial and political mayhem to confuse and manipulate the entire population on the planet. At this level the aim is CONTROL! They own everything already, possess the wealth, resources and land of the planet and through their made up laws and legislation restrict everyone else to fight among themselves for the scraps of the remaining 1% of wealth they purposely leave in the system. While the poor and middle class are trading blood and sweat for their share of the 1% of wealth the elite class sit back, relax and live off the spoils of conflict and relish in the toils of the masses. Most politicians, especially those that reach the higher levels of governing step out from the lodges of higher degree freemasonry. I often use a metaphor to describe free - masonry in my own way of thinking. A mason is a builder, a constructor of stone walls. The ruling class stole the mason term in the reference of building and constructing and added the free to suggest they are free from something. I suggest they are saying they are free from a system they have built to enslave everyone else who are not initiated into their degree lodges. They are basically saying they are free from the system of taxes, law and legislation which is used to create the mind set to the masses that they are untouchable and in control. So anyone who is selected for university are given a degree if they pass the ultimate test. A test to suggest that this person can serve the system and do the bidding for the system to maintain the system and keep it functioning at all levels at any cost. The system of hierarchy where each level is unaware of what the next level is and how it operates. Knowledge is key to unlocking the system. People look for a saviour from the strife of financial and political hold on their life. They look to politicians or priests to help them out of mayhem but never find salvation or freedom. People in their billions are too dumbed down to realise the only saviour from their enslavement is themselves. "We cannot solve our problems with the same level of thinking that created them." - Albert Einstein! Thank you for your thorough elaboration on the topic of elite and secret societies, One time fo yo mind. Indeed, much of the “secret” information is public - hidden in plain sight. Some of it comes as easy as watching a movie. If you watch “The Good Shepherd” you can learn a little about the workings of the Skull and Bones society, which admits only Yale University alumni. - It’s relatively easy to become a member. - They have lots of levels - 33 to be exact. - The lower levels are used more of an initiation ceremony. The lower members are being tested and selected from for the higher levels. - You’re not really “in” at the lower levels. Members really don’t learn what the order is really about, or any important “secrets”, until they reach the higher levels. Freemasonry is absolutely NOT a christian devoting organisation whatsoever and one does not have to be a member to learn too much about the order. One only has to be willing to read and seek knowledge. Through their own teachings which is documented one will understand that everything they believe in is anti Christian. One only has to read 'Morals and Dogma' written by Albert Pike himself who was regarded the supreme master mason in his time to grasp the ideology of the initiated. His own testimony is that they worship Lucifer and the intellect of mind and that the God of the Christian bible was cruel, vindictive and held man prisoner against his will. Lucifer (the embodiment of mind) set man free from his enslavement. This ideology is the catalyst of many occult teachings among many secret doctrines. What I present here is not my own personal belief but that which is written down by the order itself. I do not need to be a member of any fraternity itself to find out this information. The information is presentable through the order itself. I do not doubt that some masonic orders are charitable and good people for there are good and bad people in all orders, organisations and cultures. Do not be mistaken from masons and Freemasons for they are two different orders. The masons are in fact tradesmen who share knowledge and help among their profession while Freemasons are a political and religious order set up using masonic ethics. They are not primarily a tradesmen order although that's not saying they have tradesmen among them. There are numerous orders, most with different motives. Freemasonry is not a Christian order at all. From what you write you are absolutely not a member of any Freemasons lodge. As a matter of fact the origins of Freemasonry do not come from any religion at all. Freemasonry can be traced back for many thousand of years and it started off as a Lodge for qualified workers. Not all tradesmen could read and write in ancient types and a Master Mason used test each craft on their knowledge before they were allowed to work on the site. The Lodge provided shelter, food and medical assistance and even cared for the masons' families. Once again it is not a secret society - it is a society with secrets signs and words. Lower and Upper Egypt was ruled by a king who had been trained by priests but most Egyptian kings were not only influenced by the priesthood. By the way, women were priestesses back in ancient Egypt. There are only a few well recognized and recorded genuine Masonic order and yes the Rosicrucians and the Knights Templar are today recognized masonic orders. Through research one will find connections to many groups which interconnect through other groups. 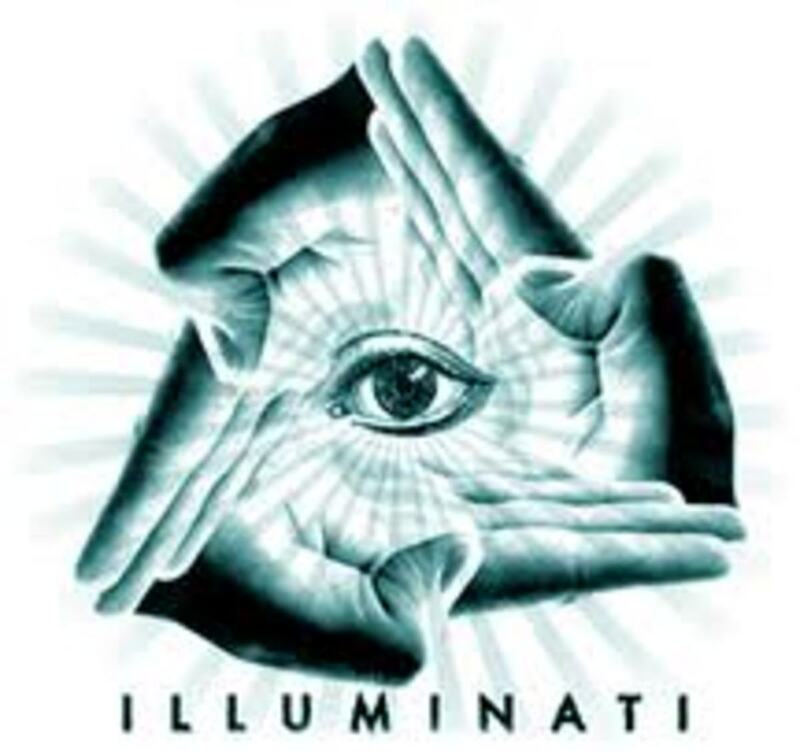 The Illuminati is one such group that was set up through the black nobility banking dynasty of the Rothschild. Adam Weishaupt who was a Jesuit trained professor was financed by the Black Nobility to create the order of the Illuminati whose purpose was to infiltrate governmental institutions worldwide and install the philosophy and ideology of the protocols of Zionism. Who is head of Freemasonry today? Who is behind the Zionist government of Israel? The Rothschild family network. All of which is well documented and easily researched. The Freemasons alone are not just one organisation for there are many factions and sub factions within. Then we have many governmental organisations which again interlink with the secret society network. All secret societies have their roots in ancient Babylon, that of Sumer which grew and became powerful among the Egyptian Empire. It was from these times when the priesthood ruled the kingdoms from behind the throne. This all powerful priesthood ruling from the shadows was known as 'the brotherhood of the snake' and they were regarded as wise as serpents and illuminated with higher intellect. The practice of many secret fraternity is dualistic in nature. They worship both good and evil and believe one cannot exist without the other. For example let's look at the might of the Vatican and the society of the Jesuit order. To the profane we see a Christian bible loving religion with a white pope sitting at the helm orchestrating goodwill. To the initiated they see the hidden priesthood behind the throne, the black Pope and the Jesuit Order. Two sides of the dualistic coin. On the bottom rung of the ladder the member sees a Christian order doing good deeds for charity and offering help within community. In the higher degrees of membership we see a more secret and hidden order which on investigation is far from charitable or Christian at all! Thank you for your note. 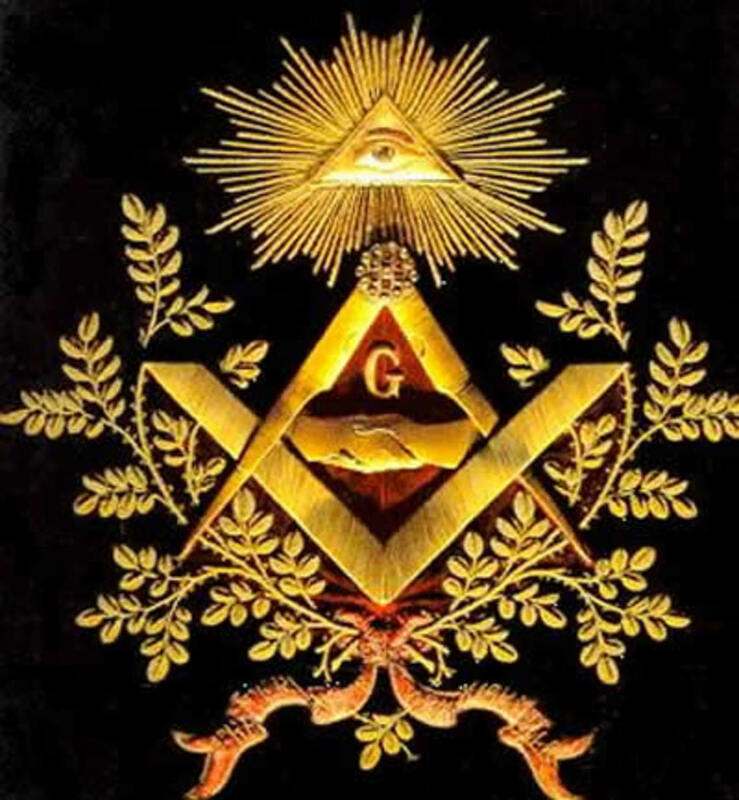 You are correct, the Freemasons are not the Illuminati - the article mentions them as separate societies, as well as several other elite societies. Yes, the Freemasons have done many good things over the centuries, and have customs and rituals from long ago. Some of the good things that some individuals in the elite societies (Freemasons included) have done are mentioned above under the heading “The Good Guys”. However, the majority of people in the elite societies (Freemasons included) do not work toward the betterment of society, but are the parasitical type that live off of society. Whether the Freemasons are a “secret society” depends on the definition we’re using. Indeed, Freemason members openly admit their membership, and even the level or “degree” of membership; but what they discuss and learn and plan in their meetings is kept secret from non-members and even from lower level members. I do have information from a credible source that the Illuminati does exist today and functions similar to the Freemasons, but are more secretive about their membership and existence. Just a quick note here - the Freemasons are not the Illuminati. As a matter of fact the Freemasons raise a lot of money for charity. Some masonic customs and rituals can be traced back to the Knights Templar but some go back even further in time. Many of the people that signed the Declaration of Independence were masons. I doubt the Illuminati exists today. The Freemasons is not a secret society - it is a society with secrets. Very good points, One time. The Shakespeare and Einstein quotes are timeless. It’s interesting, there’s also another way in which they/we are actors on a stage. The word “person” comes from the Latin “persona” meaning an actor's mask or a character in a play. The legal definition of “person” includes fictional entities such as corporations and associations, but does NOT include real men or women. We are not persons - we can’t be because we are real, not fictional. The “person” is represented by the Scarecrow in the Wizard of Oz (no brain), Alice when she’s 10 feet tall, Mr. Anderson (no mouth) in the Matrix, also the Avatar, the Surrogate, etc. We ACT as a person (put on the mask or persona) whenever we engage another fictional entity. These other fictional entities as you mention, presidents, officers, judges, attorneys, are NOT persons, but they hold an office in that name, such as president. We hold the office of person ever since we got a birth certificate, unless we take on one of these other fictional titles and act accordingly. So if you are getting a traffic ticket, one man is acting as officer, and one man is acting as person. There are actually some men and women who know how to avoid acting and speaking as a person and so they don’t get traffic tickets, etc. because an officer has no jurisdiction over a man or woman - only persons. But this is another whole can of worms that don't wish on anyone - one slip up (actually it takes two) and you’ll be in jail for a long time. It’s also interesting that Shakespeare avoided use of the word “people” and instead used “men and women”. Although the legal definition of “people” does include real men and women in plural, it primarily defines fictional entities in plural such as citizens of a state or nation. I don’t think the word change is necessary in the Shakespeare quote however, since actor and player are synonymous. But in reality I can say that the one acting as A Little TRUTH is appreciative of the comments of the one acting as One time fo yo mind - even though the said former fictional entity/ stage name has no mouth to speak with or hand to type with. Another great quote of old to bring modern society into perspective although I will change the last word and explain why. Now I am going to replace the word players with actors! "All the world's a stage, and all the men and women merely ACTORS"
Presidents, law enforcement officers, judges, doctors, teachers, clergymen, corporation personnel, military and the list goes on are merely actors playing their role in their chosen role. They ACT on the information and teachings from those who pass it on to them to further the agenda and mission of maintaining CONTROL within the WORLD STAGE. In this MIND SET we have ALL become REPEATERS and then we have the nerve to demand CHANGE! If we demand change we have to change the MIND SET which maintains and holds together the system which needs CHAOS and MANIPULATION for it to exist in the first place. Thanks Anthony, I'm glad you enjoyed it. Your hub had a lot of knowlegdeable topics, that I have never even seen or heard about. I apprecaite you enlighting me, about what's really going on. One time, thank you for the John Lennon quote. That certainly is a powerful statement. He was thinking outside of the box that they tried to put around his mind - but it seems to have not worked on him. I’ll have to catch up with the Hegelian Dialectic part of the Tsarion interview later, thanks for posting it. Found this quote by John Lennon which sums up the manipulation of mayhem throughout society and what society expects in this chaotic modern conditioned world. I just had to post this on here to help anyone reading through this hub and comments to grasp the meaning of all of this. At the last part Tsarion goes into the Hegelian Dialectic! Controlled opposition or whistle blowers for humanity? The self murdered or the spiritually awakened be - ing? There are forces both visible and invisible outside the physical senses representing the polarity of energy that is creation itself. It really is a struggle between the negative and positive dynamics of energy expression. This is why masonic lodges use the black and white squares and why many Hollywood movies and the entertainment industry use this concept as well. The black squares represent ignorance, negativity and the dark forces of creational energy while the white squares represent knowledge, positivity and the good forces of creational energy. The masonic religion is two faceted, dualistic and based on energy polarity. They believe in good and evil and the belief that Lucifer set man free from slavery and the prison which was the garden of eden with the gift of intellect. Lucifer set man free from a vindictive and cruel punishing god by offering the secret knowledge hidden in the forbidden fruit. This knowledge is the birth of MIND and we have been under MIND control ever since! This is why the elite use the mind to manipulate reality and to shape the world as they choose. Although slightly off topic, but in this next Michael Tsarion short video clip he goes into the fake landings on the moon and how the secret society network use staged events to cover up other agendas. Thank you for the multitude of telling quotes about the agendas of the NWO, One time. And the Andrew Jackson quote shows that the resistance goes back as far as the 1830’s. It’s interesting how the elite are so candid about their sinister agendas - as if they’re 100% confident that the vast majority will not realize the meaning of it - so far, they’ve been right. "The powers of financial capitalism had another far reaching aim, nothing less than to create a world system of financial control in private hands able to dominate the political system of each country and the economy of the world as a whole. This system was to be controlled in a feudalist fashion by the central banks of the world acting in concert, by secret agreements, arrived at in frequent private meetings and conferences. The apex of the system was the Bank for International Settlements in Basle, Switzerland, a private bank owned and controlled by the worlds' central banks which were themselves private corporations. The growth of financial capitalism made possible a centralization of world economic control and use of this power for the direct benefit of financiers and the indirect injury of all other economic groups." Tragedy and Hope: A History of the World in Our Time (Macmillan Company, 1966,) Professor Carroll Quigley of Georgetown University. "The New World Order will have to be built from the bottom up rather than from the top down...but in the end run around national sovereignty, eroding it piece by piece will accomplish much more than the old fashioned frontal assault." CFR member Richard Gardner, writing in the April l974 issue of the CFR's journal, Foreign Affairs. “Allow me to issue and control the money of a nation, and I care not who writes the laws.” Mayer Amschel Rothschild 1828. “You are a den of vipers! I intend to rout you out, and by the Eternal God I will rout you out. If the people only understood the rank injustice of our money and banking system, there would be a revolution before morning.” President Andrew Jackson: 1829-1837. “I am a most unhappy man. I have unwittingly ruined my country. A great industrial nation is controlled by its system of credit. Our system of credit is concentrated. The growth of the nation, therefore, and all our activities are in the hands of a few men. We have come to be one of the worst ruled, one of the most completely controlled and dominated governments in the civilized world. No longer a government by free opinion, no longer a government by conviction and the vote of the majority, but a government by the opinion and duress of a small group of dominant men.” President Woodrow Wilson: 1916. "This present window of opportunity, during which a truly peaceful and interdependent world order might be built, will not be open for too long — We are on the verge of a global transformation. All we need is the right major crisis and the nations will accept the New World Order." David Rockefeller Sept. 23, 1994. "By the end of this decade we will live under the first One World Government that has ever existed in the society of nations... a government with absolute authority to decide the basic issues of survival. One world government is inevitable." Pope John Paul II. “Out of these troubled times, our objective—a new world order—can emerge. Today, that new world is struggling to be born, a world quite different from the one we have known - What is at stake is more than one small country, it is a big idea—a new world order...to achieve the universal aspirations of mankind... based on shared principles and the rule of law... The illumination of a thousand points of light! ” President George Herbert Walker Bush: September 11, 1990. "The New World Order cannot happen without U.S. participation, as we are the most significant single component. Yes, there will be a New World Order, and it will force the United States to change its perceptions." Henry Kissinger World Affairs Council Press Conference, Regent Beverly Wilshire Hotel, April 19th 1994. "I am concerned for the security of our great nation; not so much because of any threat from without, but because of the insidious forces working from within." General Douglas MacArthur. "Fundamental Bible-believing people do not have the right to indoctrinate their children in their religious beliefs because we, the state, are preparing them for the year 2000, when America will be part of a one-world global society and their children will not fit in." Nebraska State Senator Peter Hoagland, speaking on radio in 1983. "They have polluted the oceans and the atmosphere, reduced the oxygen and the electron count, burned holes in the ozone, devastated forests, relentlessly annihilated the flora and fauna, caused havoc within the food chain, de-mineralized human food, poisoned the lakes, slaughtered the best of the human gene pool in wars for profit, eradicated entire nations and indigenous peoples, enslaved the ancient races, divided the lands, incarcerated the innocent, martyred the meek and the sensitive, dug caverns deep into the tissues of the Earth, altered the electromagnetic frequency of the human body through the misuse of electricity, torn through the veil of the subatomic realms, massacred millions with their nuclear and atomic assaults, messed with mind control, perverted the subject of history, lead millions down the path of mania and self-destruction through devastating psychedelic drugs, peddled all kinds of pharmaceutical poisons, incubated every vice and addiction that one can imagine, imposed debt slavery, and basically industrialized the entire world." Michael Tsarion's viewpoint on the manipulation of the entire human race! Here are some other quotes from whistle blowers of the world's leading elect themselves, people who in their responsible and commanding positions of power are advocating or opposing a New World Order. And for those that call for New World Order, are they in any moral or fit state of mind to be representing the people of the world? "The world can therefore seize the opportunity to fulfill the long-held promise of a New World Order where diverse nations are drawn together in common cause to achieve the universal aspirations of mankind." George Herbert Walker Bush (former American president). "In the next century, nations as we know it will be obsolete; all states will recognize a single, global authority. National sovereignty wasn't such a great idea after all." Strobe Talbot, President Clinton's Deputy Secretary of State, as quoted in Time, July 20th, 1992. "We shall have world government whether or not you like it, by conquest or consent." Statement by Council on Foreign Relations (CFR) member James Warburg to The Senate Foreign Relations Committee on February 17th, 1950. "Since I entered politics, I have chiefly had men's views confided to me privately. Some of the biggest men in the United States, in the Field of commerce and manufacture, are afraid of something. They know that there is a power somewhere so organized, so subtle, so watchful, so interlocked, so complete, so pervasive, that they better not speak above their breath when they speak in condemnation of it." Woodrow Wilson (former American president),The New Freedom (1913). "The real menace of our republic is this invisible government which like a giant octopus sprawls its slimy length over city, state and nation. Like the octopus of real life, it operates under cover of a self created screen." New York City Mayor John F. Hylan, 1922. "We are at present working discreetly with all our might to wrest this mysterious force called sovereignty out of the clutches of the local nation states of the world." Professor Arnold Toynbee, in a June 1931 speech before the Institute for the Study of International Affairs in Copenhagen. "The government of the Western nations, whether monarchical or republican, had passed into the invisible hands of a plutocracy, international in power and grasp. It was, I venture to suggest, this semioccult power which....pushed the mass of the American people into the cauldron of World War I." British military historian MajorGeneral J.F.C. Fuller, 1941. "The real truth of the matter is, as you and I know, that a financial element in the larger centers has owned the Government ever since the days of Andrew Jackson." FDR to Colonel House, November 21st, 1933. "The real rulers in Washington are invisible, and exercise power from behind the scenes." Supreme Court Justice Felix Frankfurter, 1952. "Today the path of total dictatorship in the United States can be laid by strictly legal means, unseen and unheard by the Congress, the President, or the people. Outwardly we have a Constitutional government. We have operating within our government and political system, another body representing another form of government - a bureaucratic elite." Senator William Jenner, 1954. 1. Yes, the “Hegelian Dialectic” has little or nothing to do with Georg Hegel, and it is not really a dialectic. However, it is one of the phrases that the Problem-Reaction-Solution strategy is commonly referred to as. Of the several aka’s mentioned above, Hegelian Dialectic is the one that scores the highest in Google searches, and that is why I chose it for the title. The article infers no connection other than a commonly known label. The also common phrase “Problem-Reaction-Solution” is used throughout the article since it is more descriptive and intuitive. 2. Thanks for the pointer on the questionability of the Nikita Khrushchev quote. I will check sources and remove it if I can’t verify it. It’s not crucial to the gist of the article. Indeed, the “alternative” media needs to be scrutinized as much as the mainstream media. Anything that seems to have a ring of truth could very well be a part of the controlled opposition. The “good guys” can be determined by their actions. The vast majority of the elite are parasites that feed off of society, mostly by creating problems that they can benefit from. The good guys add value to society mostly by exposing corruption and making hidden knowledge available to the masses, as explained in the article. Yes, the ever presence of controlled opposition and infiltration of grass-roots organizations needs to be kept in mind. We need to judge them by the preponderance of their deeds, and not their words. Yes, nobody has ultimate truth. Compared to ultimate truth, one can only have a very tiny fraction of truth. That is why I purport to espouse only “a little truth”. 1. The so-called "Hegelian dialectic" as described here has nothing to do with either Hegel or dialectics, nor does the author make any case whatsoever that it does beyond mere assertion. 2. The Krushchev quote is apocryphal, perhaps even a deliberate fake. You can find it in Paul Boller & John George's book "They Never Said It." It was supposedly said during Krushchev's visit to the U.S. in '59, and was bandied about by the Birchers. But nobody who's looked into it has been able to verify it. A particularly damning bit of evidence against it is that the quote actually comes in two variations. The version used here contains the "overripe fruit" statement, which has its origin in an older fake quote supposedly said by Lenin (also in the Boller/George book). It's all fine and dandy to say the mainstream media is corrupt and untrustworthy, but don't just go and believe everything that's said by the supposed "alternative" media because it fits into what you already believe or want to believe. A good rule of thumb is to seek out high quality writing (clear and well reasoned) that is well-sourced (not because of any appeal to authority, but because it shows they did actual research). Also, how can you determine the "good guys" among the elite? By what criteria do you evaluate their claim that they even are part of the elite? And if they are, how do you know that their disclosures aren't mere smokescreen, or designed just to exploit their status and sell you something? Nobody has the ultimate truth. Nobody. Not one. That sounds very interesting, One time. I have to be honest, I’m going to be quite busy for several days, but I’ll check it out afterwards. Here is a link to the ULTIMATE TRUTH SERIES, covering the BIGGEST MOST WIDE ARRAY OF SUBJECTS, it is THE GOLDEN POT OF INFORMATION FOR UNDERSTANDING THE CHAOS INTERWOVEN INTO WHAT WE PERCIEVE AS THE MAD WORLD WE LIVE IN TODAY. This series touches not just on the PHYSICAL EXPRESSION of what the eyes see, the ears hear and the MIND decodes as reality, but also the origins of the ORDER and the metaphysical inner world we cannot see with our basic physical senses. Hopefully for anyone who is seeking for truth and answers to the many questions that play like a splinter in the mind will gather much knowledge and wisdom when watching this excellent series. When one is open to explore the unknown the creative force within will unite a holistic viewpoint, breaking down the barriers and firewalls that shield off the fragmented mind. ps I don't know about "agey." But I am surely "aged." In fact, "they" call me "the ancient one." "If this life is truly all there is, go for the gusto! Just do it! If it feels good do it! Let tomorrow be damned, let the next generation be damned! It is all about this moment! It is all about YOU!!!" Sounds a bit new agey no? I remember you wrote a hub about the dangers of this kind of thinking.. I'm not sure if you are being sarcastic or serious with this statement, however, the rest of your comment I can agree with. Thank you for your informative and thorough comment! I’m glad you enjoyed the Hub so much. Your grandpa gave some super-excellent advice. If everyone stayed completely away from debt like him, the current system of financial tyranny would have never got off the ground. Yes, 9/11 created a long term tragedy for Muslims in America. That will only be completely healed when the truth about 9/11 finally comes out to the mainstream. Thank you for publishing this fabulous Hub. You spoke truth to power in a big way. Well done! I love “Tragedy and Hope” by Carroll Quigley. It is on the bookshelf behind me as we speak. You are surely right that "most of us are in debt most of our lives, working as slaves to debt. Why else would it be that a student loan for a college education now takes many years to pay off (if you get a job), whereas a few decades ago, most students would get a summer job and easily pay for the next years tuition"
I read recently that you could go to Berkeley for $50 a semester in the 1930s. College was affordable before the federal government got involved in it, which they shouldn't have. But no person can be in debt unless they choose to be. Sure, they are sold by Madison Avenue on the goods they simply MUST have, and have today while paying tomorrow. But people still have Free Will. My Grandpa told me to never, ever borrow any money from anybody—not even to buy a car or house. And he never did. But that takes moral discipline. "They’ve been working on this for more than 100 years. They have to make the changes gradually as they mold society into accepting ever more government control of everything. In the end, they want one world government, one world currency, all people micro chipped, no paper money – your bank balance is to be stored in the microchip under your skin. If you don’t like it, if you speak out about it, they can just take your money away with a push of a button and starve you out." But "they" are given this power in America by voters—52 million of them voted for Obama, which stunned and saddened me. As long as they get their bread and circuses and pharmaceuticals—I don't think most people care. A big part of this is the ridicule of Christianity and God since the 1960s. If this life is truly all there is, go for the gusto! Just do it! If it feels good do it! Let tomorrow be damned, let the next generation be damned! It is all about this moment! It is all about YOU!!! The quotes by Rahm Emanuel and Nikita Khrushchev are poignant. The solution to 9/11 was to kick all Muslims out of America, prohibit their travel here, and prohibit their religion here. Problem solved with no need for strip searches or scans. But this is where fifty years of politically correct education has dumbed down America. All the young care about is to be seen as "nonjudgmental" and "'not racist." Beyond that, who cares? Yes, George Carlin is my all-time favorite. And this is one of the very best excerpts! Thanks for all the excellent quotes - some encouraging (for those on the side of truth) and some sobering. I like the one from Elena Gorokhova best. It gets to the core of our current situation. People apply it at the subconscious level as a safety mechanism. They don’t even realize that they are “pretending to believe” until something triggers their attention to it - potentially even something like your comments here. 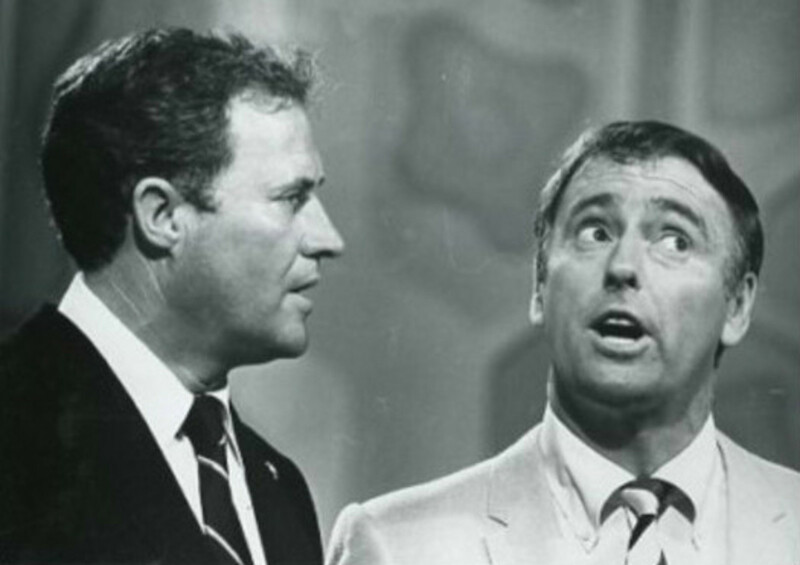 Everyone’s heard the joke that’s no joke: “How do you know if a Politician is lying? …If his lips are moving.” (Not 100% true, but probably in the high 90’s.) But most people will still vote for one of them. Yes, mind control is the crux of today’s world - well put. Thank you for your informative comment; I’m glad you enjoyed the hub. Yes, David Icke and really EVERYONE needs to be taken with discernment, Icke does get into some pretty far out topics. Also, anyone could potentially be part of the controlled opposition. If he’s a member of an elite society, I won’t hold that against him though. As mentioned in the hub, there are two groups within the elite - the parasitical and the beneficial. Symbolism gets as simple and international as green for go and red for stop. Symbols are like words - they are a form of communication. Both can have common, agreed upon meanings as well as sneaky and sinister meanings (ie. “person” in a legal dictionary, or “United States” in the US Code). 'The further a society drifts from truth, the more it will hate those that speak it' George Orwell. The truth is simplistic in its True Way whilst satanists reverse the ideology and symbolism to divert the WILL. What is the ULTIMATE TRUTH and TRUE WAY OF LIFE? Humanity has lost its true way and the power of love which sustains all life in the universe and through this lack of truth we have become self murdered and divided as a species. In this schismatic mind we are disconnected from creation and have become a destructive race. This has brought into the world a craving for power, war, greed and ultimately CONTROL. Society does not teach the youth today to unite and spread Love through their community. Instead the youth is fed illusions, ideology and egotistical motives. They are taught to be competitive and fed Darwinism of survival of the strongest that mostly through the intellect of mind. The MIND has its functions for everyone to EXperience physical reality BUT the MIND should be not CONTROLLING YOU! This is the greatest TRICK of the ELITE for they make YOU conform and take commands from the MIND when in TRUTH YOU should be in CONTROL of your OWN mind. They MAKE YOU BELIEVE THE MIND IS YOU when the MIND is NOT YOU, it is JUST a tool to eXperence reality. The TRUE SELF (GOD, JESUS, ALLAH whichever NAME this suits which culture) is INFINITE and CREATIVE and exists forever with no boundaries. The MIND (SATAN, LUCIFER the DEVIL) is FINITE, DESTRUCTIVE and is MEASUREABLE. It is the birth of TIME and SPACE and is the MASONIC LAW of the elite who builds and shapes the world within the MIND. I have something to add which is about symbolism. These people use symbols, myths, religions, etc. as mind control measures as well. As you stated in the solutions section of your article the solution is to not to react emotionally, as they know this and it overrides judgement...thus the programming finds it's way into the psyche of those taken in by it via this attachment toward the stimuli. I would just like to extend that same message to people who are studying the symbolism, ancient mysteries and seeking this ultimate 'truth' that the illuminati claim to be aware of and in possession of because when people go searching for the 'truth' i.e. into the nature of reality, the illuminati, and all these esoteric studies, they forget the powers that be encourage one to look for truth within the symbols, where in reality none exists until the seeker imbues it with meaning. These meanings are actually based off of previous 'knowledge' they have acquired throughout their lives i.e. indoctrination. So people need to remember to KNOW THYSELF before going in search of truth so they will not be misled and brought into further conclusions..Keep in mind this is the point of mind control: To destroy a potential BEFORE he can become an enemy. We have millions of people who are on this search for 'truth' dissecting symbols and esoterica in hopes of finding the 'real' meaning encoded into them. This takes a lot of time and while this search is occupying the mind of the seeker, they, the powers that be, are still plotting, exploiting, and murdering against all members of the human race save for themselves. This of course is the intended effect for these characters.. The relationship between symbols and persons needs to be rearranged into it's correct order where the person is indeed the ultimate power and the truth already, and the symbol is only a mirror, devoid of power, and can be dissected literally forever as long the seeker wishes to find meaning in them. Good point, thanks for bringing out the “Take That” performance - another precursor to the 2011 London Riots potentially helping to get them instigated as well as foretelling them. Yes, the elite seem to have an uncanny desire to tell us what they are going to do before they do it, but in a more or less indirect way. They like to hide the truth in plain sight. Maybe they believe it somehow justifies their actions. Trouble, not as a riot, but trouble for the elite and their agenda. The riot police then step backwards in their dance and kneel down. The police even start hitting each other. Later the visuals turn from blue, the color of uniformed police (Police State), to red, yellow and bright white with confetti; colors depicting earth (solid ground), refining fire and brightness and truth, and confetti for celebration; and the lyrics change to talking about peace. The police put down their shields, take off their helmets and strip down to their white underwear (white for surrender?) revealing their human selves and even that many of them are women. And so the message continues that after the youth foil the NWO thru estoppel, exposure and disclosure; there will be peace. The brick wall theme continues thru the color change, indicating that the NWO will not be able to come back. Very artfully done and packed with meaning! Again, thanks for the link and the insightful comment! "In politics, nothing happens by accident. If it happens, you can bet it was planned that way." -- Franklin D. Roosevelt. Earlier in the year 2011 there was a live performance at the brit awards by former boy band 'Take That' from the 90s decade. The all occasion centred around the recent rejoining of the group of Robbie Williams who previously left the band for some time. The gig gathered much publicity and media and the nation by the millions tuned their tvs to watch the event. The show was one of complete mayhem on stage. 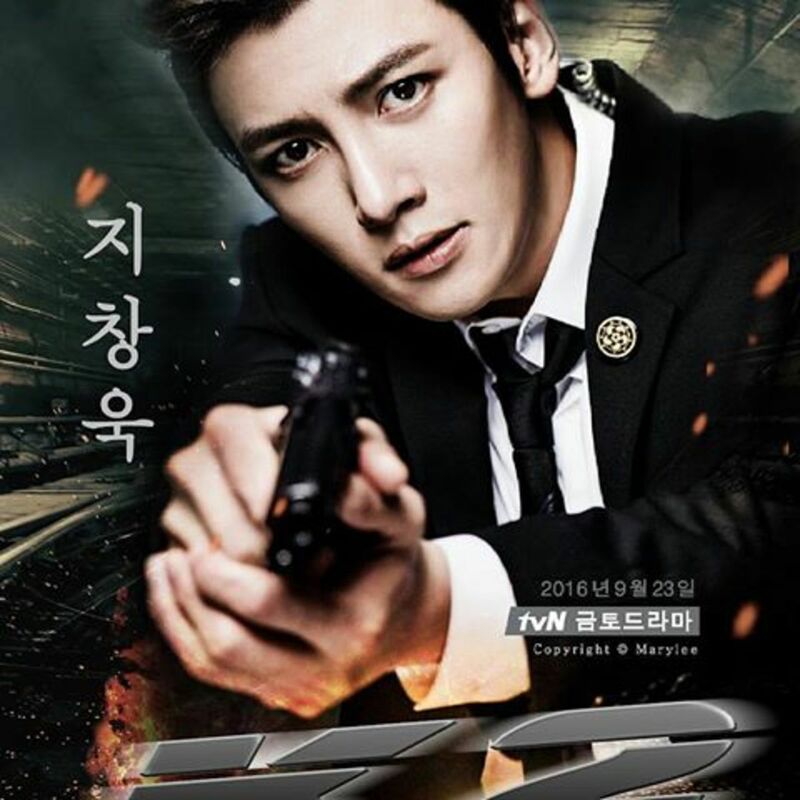 There were dancers and props all dressed in police riot gear standing behind the boy band. The performance lasted several minutes with spectacular lighting effects resembling fire amid chaotic mayhem which could easily be some form of simulated riot. This is how the elite do things. They tell the story before events can happen to plant the seed into the human mind. Lots of these things happen in movies and tv programmes where subliminally the thought of any type of event is already filtered in the public arena long before it is actually triggered. Thanks for the insightful comment! I’m glad you enjoyed the hub. May I suggest to anyone who is affected by, but not blinded by, fear of the truth, to check out some of the Solution Groups cited toward the end of my hub about the Federal Reserve - and take action. Very good points on spirituality and the meaning of words. Yes, those hidden tribes you mention could be having a large positive effect on mankind today with preserved powers that we don’t know about. Some day we will see. Thank you very much for writing this hub. It is so true, but so many people do not only realize this is taking place, but the refuse to believe it. Perhaps they are comfortable, or they they want to be taken care of . The government has been using mind control for a very long time now. If you watch television, all you see is people using the newest cell phones, or video games that have huge monsters that are not human. All your comments are so true, it is frightening, but so many people just do not, or do not want to believe any of this is, or will not ever happen. The scattering of the mindset is a spiritual awakening. Deep within our very self is our true BE ING. There is a inner KNOWING which connects with every aspect of creation. This spiritual KNOWING is what is suppressed within modern society and it has been designed this way to keep sheep in line. People's inner awareness is stripped since childhood when the system takes a developing child away from his natural environment and placed within schooling education where the elite trained tutors help develop the MIND computer to obey commands, follow orders and repeat patterns of meaningless triviality to keep the masses locked within a physical prison of restricted awareness. In this state of mind the masses become perfect slaves to serve their hidden masters. Now understanding the meaning of words is vital to understanding the meaning of society. The word govern ment simply means MIND CONTROL. Govern is to control which is derived out of ancient Rome where governor was given to personages of head of state whose job was to control that province of land. The word MENT is much older and derived out of ancient Greece where MENT was a latin term for the modern MIND. This is why the word MENT is still used in words associated with the MIND like MENTALITY for example. Almost ALL aspects of modern life is determined on HOW the MIND perceives REALITY and how the MIND has been PROGRAMMED through INFORMATION fed into the brain computer. The elite and their ancient ancestors have for millennia sought to have ultimate control both physically and spiritually of humanity. They have very much successfully controlled the population on a physical level despite some far away and hidden tribes unaccounted for I'm sure who do live outside the systems of control and do hold some spiritual truths which the elite are afraid of and would do anything in their power to destroy which they have done throughout known history. Their biggest hurdle is spiritual awareness and it is spirituality that has been suppressed and withheld from the mainstream. Religions and governments are there to steer humanity away from spiritual understanding. Spiritual is inner work and the understanding of creation and the genetic makeup of reality. This information is withheld from the public and is taught in secret fraternities and universities for the select and chosen few who become the decision makers and shakers for the shadow elite and real rulers of the world. The masses are therefore encouraged to seek fleshly desires and feed their MIND with EGO tistical pleasures which is turning against the true way or right path and to promote competition and division. This births individualism and a selfish mentality. In this state of awareness people are easily controlled and can be used as pawns in the game to control others through a well constructed MIND CONTROL. People willingly give up their power to anything that can satisfy their EGO tistical desires or to simply help maintain what physical pleasures they already possess. Nowadays people are all to happy to hold on to the very little they have which is gradually being taken away from them bit by bit over time. 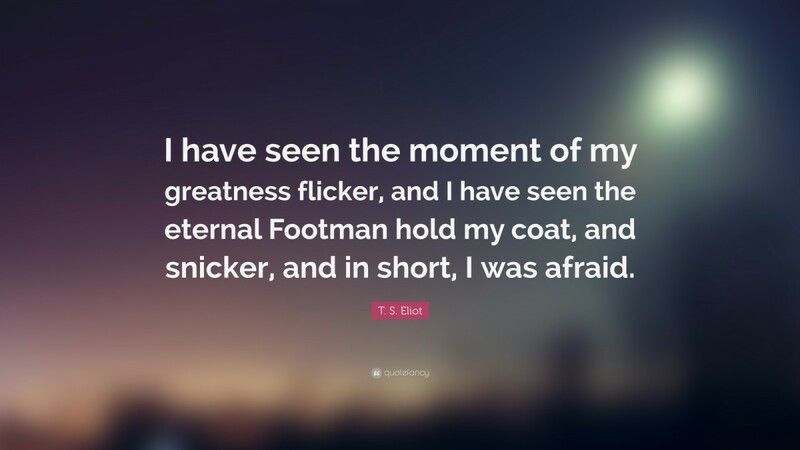 If the elite can steer people away from their spiritual connection with creation they only have to control their physical senses of self worth which is a very limited perception of awareness. One time fo yo mind, thanks for the thumbs up and the history! I never thought about Babylon as the ancient New World Order, but it fits. The similarities are intriguing: In the early days of Babylon, the people were kept in one place by the city, the tower and the one language. They could be controlled more easily in one place. Divine intervention scattered them with the different languages. Today, people are kept, not in one place, but in one MINDSET – that of a sheep-like slave – by the media, education, food and drugs. They are easily controlled that way. Maybe the divine intervention today is the scattering of people from that slave mindset – waking them up – scattering them to different mindsets. Today, there is a freedom movement, a tax movement, a tea party movement, an occupy movement, a UFO disclosure movement, a Ron Paul movement, an oath keepers movement, a free energy disclosure movement, a non-religious spiritual movement, a holographic reality movement – all different breakaways from the slave mindset! Thanks for the informative and thought provoking comment. Thumbs up for a great hub. The modern elite or ruling class are descendants from the ancient Kings and rulers of old. They even confess to be so, claiming they are descendants of the ancient pharaohs of Egypt but trace their lineage further back to Babylon and Sumer, their founder being King Nimrod, the architect to the infamous tower of Babel which was a metaphor for the ancient New World Order which was destroyed through divine intervention. Now through the workings of all ages using covert teachings and secret fraternities they are trying to establish their ultimate control on humanity once more with the modern New World Order and global religion which is gradually coming into fruition. Ancient secret society network which brought about the past New World Order was known as 'The Brotherhood of the snake'. The modern adaptation of this secret fraternity is the secret organization famous for its use of reformed ( infiltrated) Christianity as a tool for ultimate control. The King James version of the Bible, edited by Sir Francis Bacon (a 33rd degree Freemason), is used to create ORDER in society through the implementation of a Belief system geared towards their Fascist Ideologies. The CHAOS is carefully orchestrated to insure the passing of more and more LAWS that will (eventually) completely destroy FREEDOM. This is why there is more and more MORALITY being preached by the Politicians. 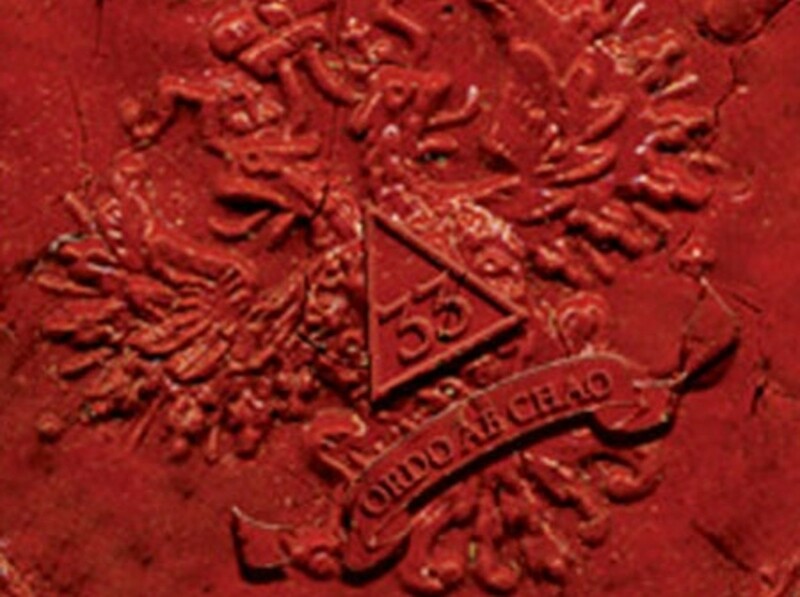 The brotherhood throughout the ages have used the great motto "Ordo Ab Chao" meaning Order Out of Chaos. Agendas are formulated designed to give the powerful even more power. Chaos is therefore manufactured by design and through the use of controlled and orchestrated media, confusion is created. Then cries go out for solutions to the problems and confusions manifested. Laws are passed which could never have been passed without the use of implemented chaos. The Order has reigned by deception of the masses, and the Agenda is Accomplished step by step. The workings of all ages is a long term project to enslave the population both physically and spiritually. Govern ments and religions are therefore used to steer the ship of ultimate mind control. After all, it IS those secret societies (which follow this Egyptian model) that control the finances, Governments, and Religious systems that currently plague the planet with perversions of truth and Fascist agendas. Again, great article on this just thought it was needed to add some history to what you have already brought up.